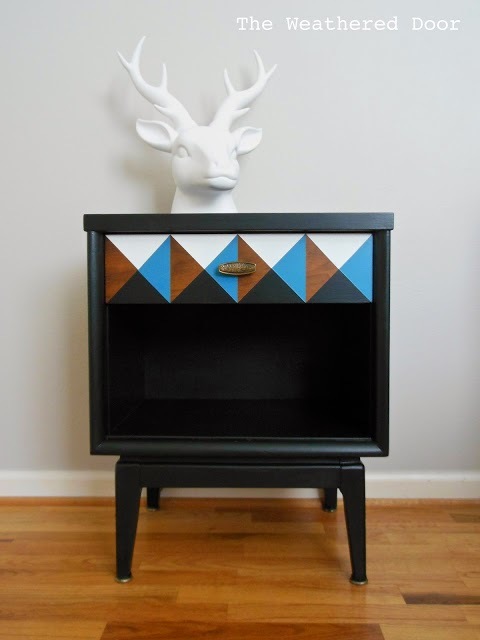 I’ve been working on another mid century piece where I add a geometric design to the drawer (this time it has some orange in it!) 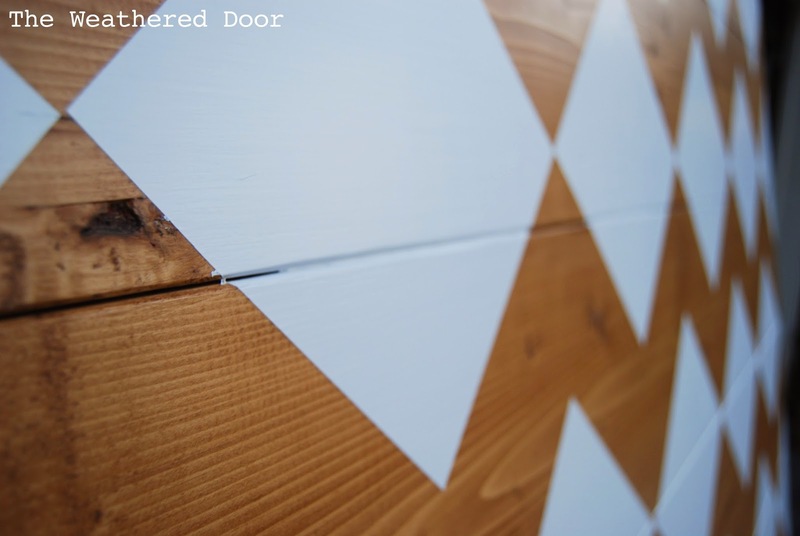 and I have to say, clean, crisp lines are key when doing something like this on a piece of furniture, or even a wall! No matter what type of tape I use I almost always have a problem with the paint bleeding under the tape and ruining that crisp line I want. 1. 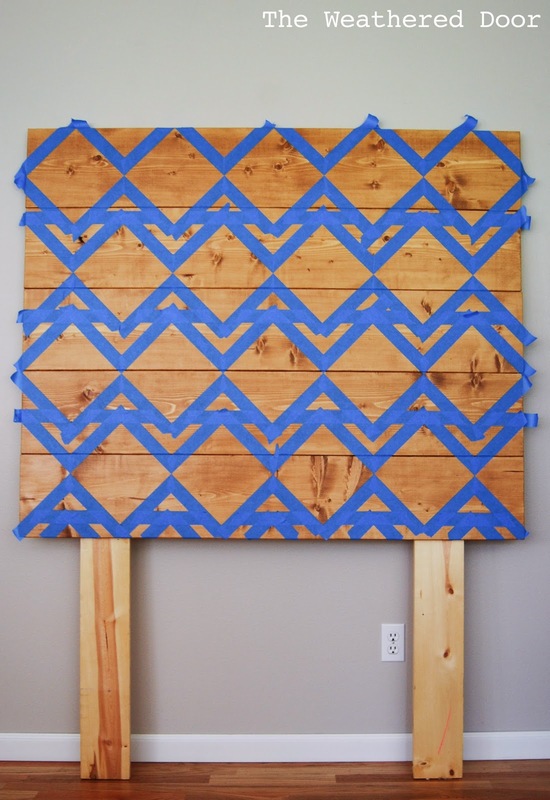 Measure and tape out your design (I recommend delicate tape so it doesn’t take any of the paint or finish off when you pull the tape off once you are finished). 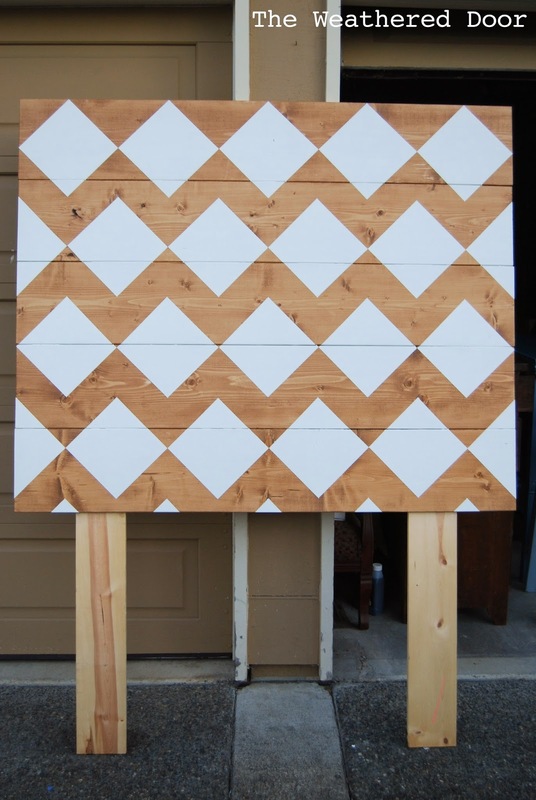 For this example I’m using a geometric headboard I made. If you want to see the post, click here. 2. Apply a thing coat of poly. 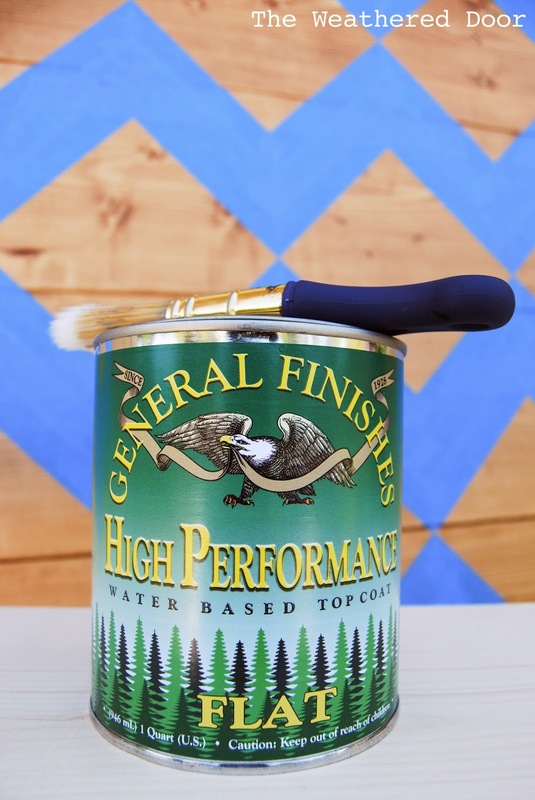 I use GF high performance topcoat, but any water based poly will work. It doesn’t need to be thick, you just want to brush it against the edges of tape to seal them. 3. Once it’s dry (10-20min), you can start painting. Paint on as many coats of paint as you need (I ended up needing 4 coats of white) making sure to give it plenty of time to dry in between coats of paint. 4. After you final coat of paint, wait until the paint starts to dry a little, but isn’t fully dry. In my experience the paint will start to dry in certain spots after 10 minutes, and this is when I pull the tape off. On a larger project like this headboard, by the time I finished my final coat on the top row of diamonds I could begin pulling off the tape on the bottom row. 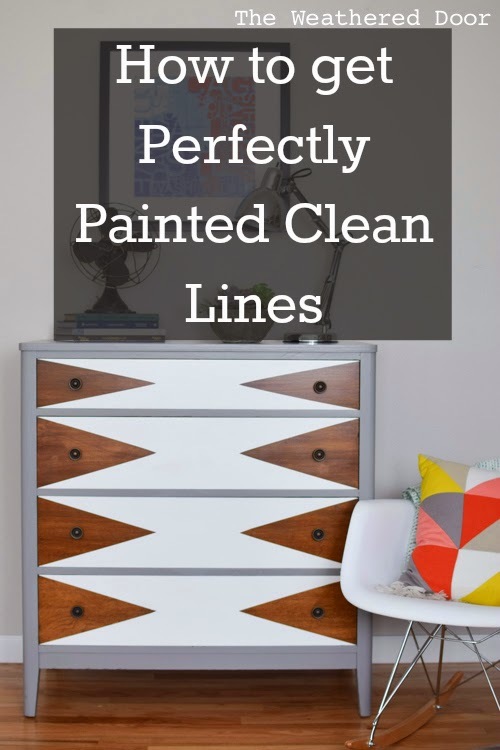 As you take off the tape you’ll have perfect, clean lines! The planked wood on this headboard was a bit tricky because the tape could not get all the way into the tiny space between boards. Because of this there was tiny areas where paint seeped under. On every other area, I had clean lines! Plus, then next part of the design covered up the little parts that did seep. 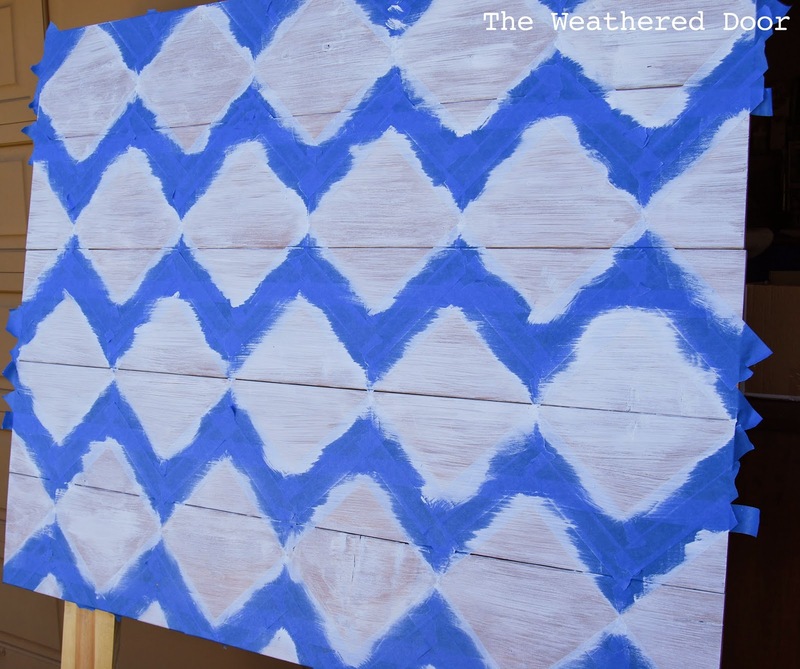 To see how this geometric headboard turned out and to read the tutorial, click here. On a piece where the design is over wood (like this dresser), I tape out the design and first use a thin coat of poly. This seals the edges of the tape and if any of the poly bleeds under, it’s clear and unnoticeable. This is especially important with this geometric design since I leave some of the triangles wood. I definitely don’t want any paint seeping onto that wood. 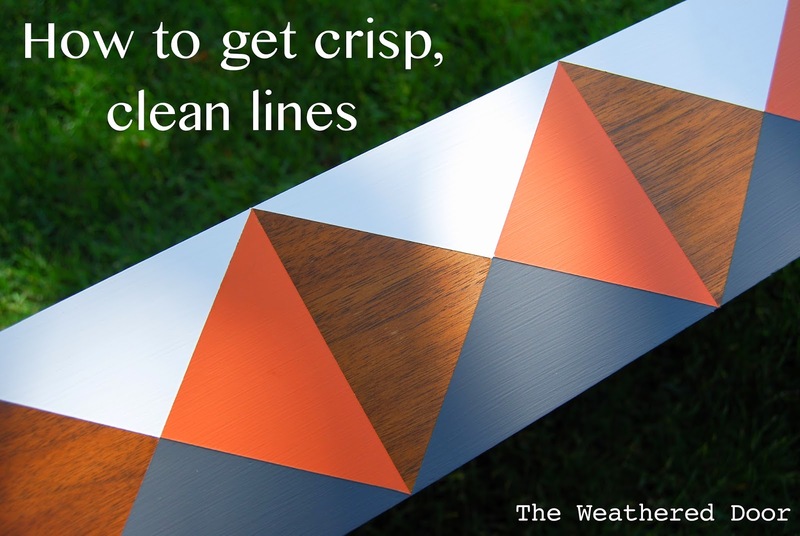 If your painting a design, say stripes of something over a wall or piece of furniture that already has painted, you can use the base color to seal the edge of tape. On this lavender dresser I taped the design, then before painting it white I used some of the lavender paint first so if any bled through, it wouldn’t be noticeable. This little extra step is definitely one you shouldn’t skip. It will save you time and frustration in the end. Thanks for the tip…I know I will use it some time! (Pinned it to my Awesome Furniture board). I can't even believe how perfect your lines look! Did you poly the whole drawer or just the edges of the tape? Do you poly the whole drawer? Or just the edges where the tape sits? Thanks! Great tutorial! Once concern I have is If painting over poly not causes problems with paint adherence or chipping over time? That has not ever happened to me. I do lightly sand the poly and often add primer before paint. 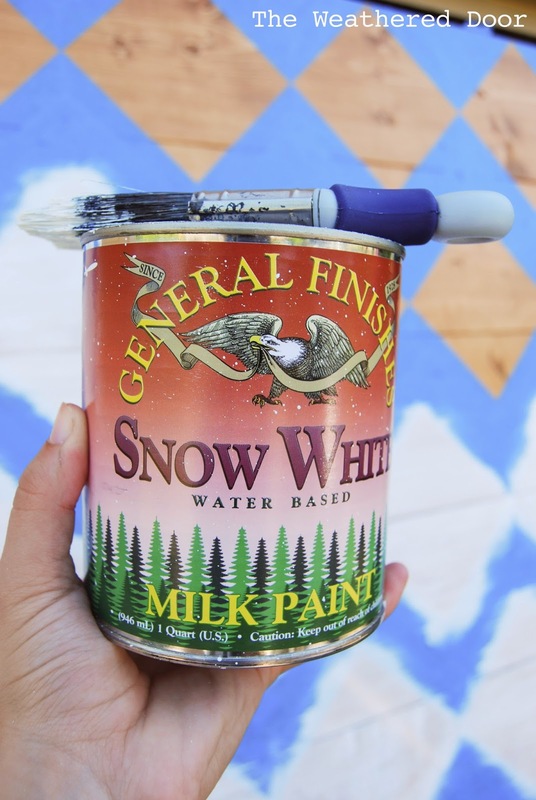 Primer helps the paint to bond and last. I also seal most of the paints I use (there are a few exceptions to paint not needing to be sealed). will this work with wood stain too? I have not tried it with stain. Because stain soaks into wood instead of just sitting on top like paint I don’t think you would get a clean line. Also, you wouldn’t want to apply poly and then stain. It would stop the stain for soaking into the wood and doing its thing.